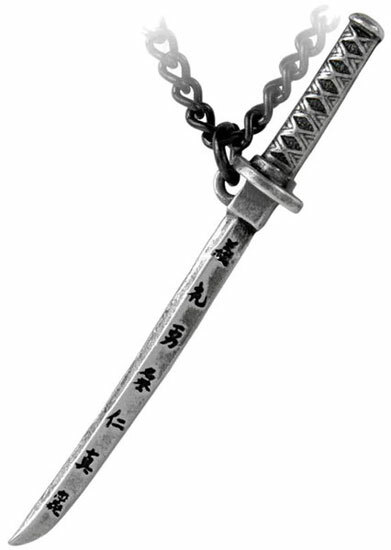 Iconic sword of the samurai warrior engraved with the eight virtues of Bushido: Integrity, Respect, Courage, Honor, Compassion, Honesty, Sincerity, Loyalty and Duty. Made of fine English pewter. Measures approximately 2.4 inches wide, 0.12 inches high and 0.13 inches deep. Imported from the UK. 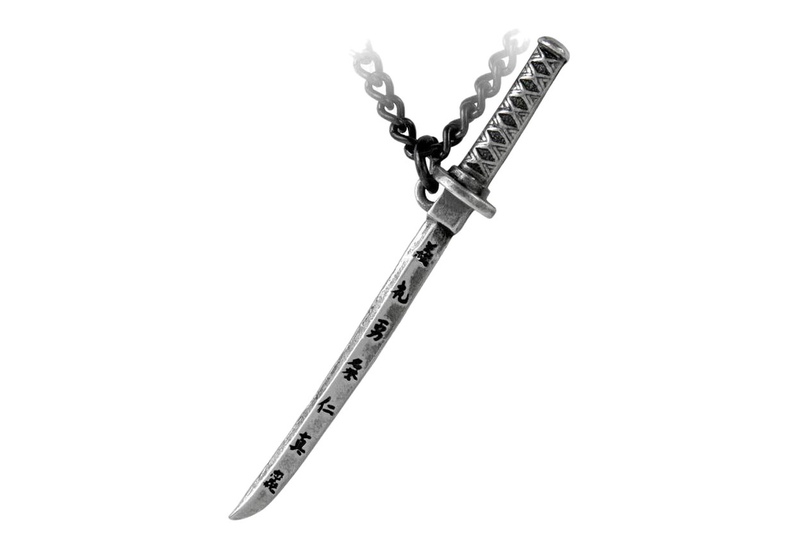 I got the necklace and ordered two more, cause I use the katakana sword as earrings. I have gauge 2 hole and it fits perfect and looks awesome. It showed up fast and was what I expected. Very happy thanks !